This blog post was originally posted on July 30th, 2013 in memory of Dr. Jane Bowles, the Herbarium Curator and Director of the Arboretum at Western University in London, Ontario. There are very few weeks that go by that I don't think of Jane, and I've even caught myself thinking "I have no idea what this plant is; I'll ask Jane when she gets back" like she's only out for coffee or something. Gone too fast and too young; I don't think I'm alone when I say she is dearly missed. You might be wondering why I'm featuring this plant in my blog today; for a full explanation you can scroll down to the bottom of this blog post past the next plant profile. 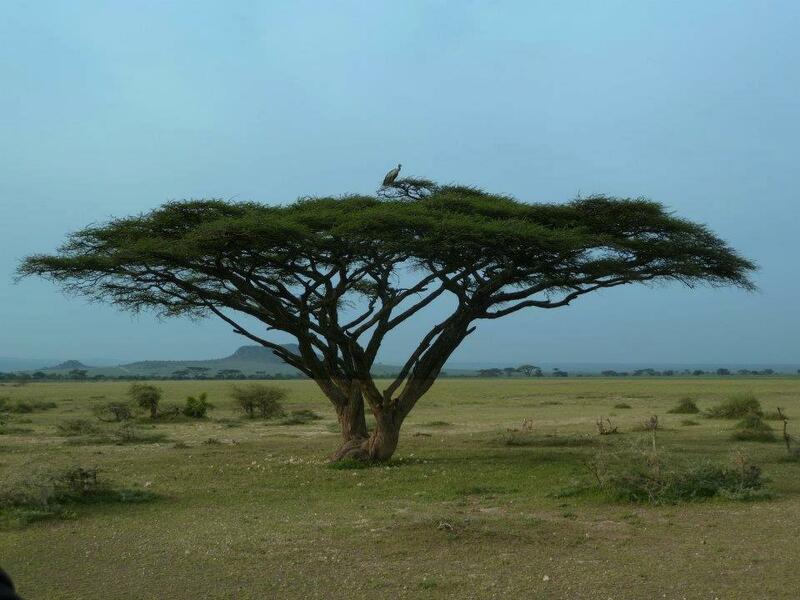 Umbrella acacia trees are probably one of the first plants that come to mind when you think of Africa. They are for me at least! They have an enormous native range, reaching from the north all the way to the south of Africa and into the Middle East. When I think of the African savannah, this is by far the first tree (and sometimes the only tree; I'll be the first to admit that my African botany knowledge is quite limited!) that comes to mind. The umbrella acacia actually looks rarely like an umbrella when grown in cultivation. Because it is so extremely drought tolerant, it is often grown in climates where the type of ecosystem that prevails for most of the year is a dry, sandy desert. 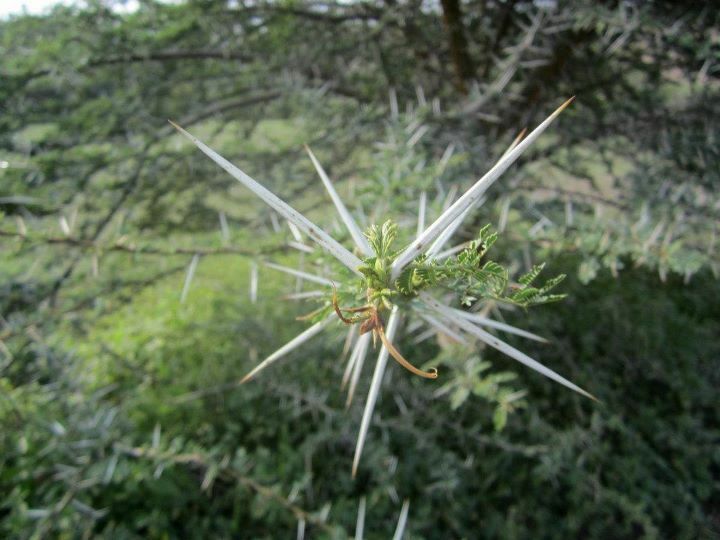 Here, the umbrella acacia looks more like an acacia with a bad hair day, and is very straggly and wiry. It is only when the young seedlings are exposed to large amounts of rain that the trees end up developing into the typical umbrella-shape that is so characteristic of the African savannah. That, and grazing animals that force the tree into that shape couldn't hurt; this tree is one of the preferred food sources of giraffes. The "umbrella" of the canopy begins where the branches are just out of reach from the giraffes and everything below that point is eaten away. 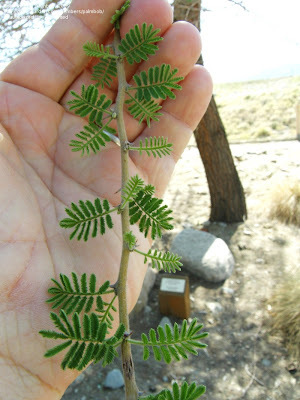 That's not the only animal that eats the umbrella acacia: humans have also used this tree as a source of gum arabic (added to many, many food items), and the seed pods are used for various herbal medicines. The seeds may be eaten by humans but are rich in tannins so are usually avoided (but may be used as a source of natural dye instead! ), however other grazing animals like small mammals or birds eat these seeds as a rich (and rare) source of protein and fat. There are quite a few products made from the wood of this tree, and is one of the reasons why it is grown so much in cultivation in Africa and the Middle East. The wood is very important for fine woodworking products like wagon wheels and furniture, as well as raw lumber for fenceposts and animal pens. The tabernacle, built by Israelites in the Old Testament, was also exclusively built from wood of the umbrella acacia so it has important religious significance as well. It also has very high significance to more than 20 different groups of people (either groups defined by language, linguistic dialects, country lines, or cultural beliefs), but the most important of which for the purposes of this blog post is that it's the National Tree of Kenya. 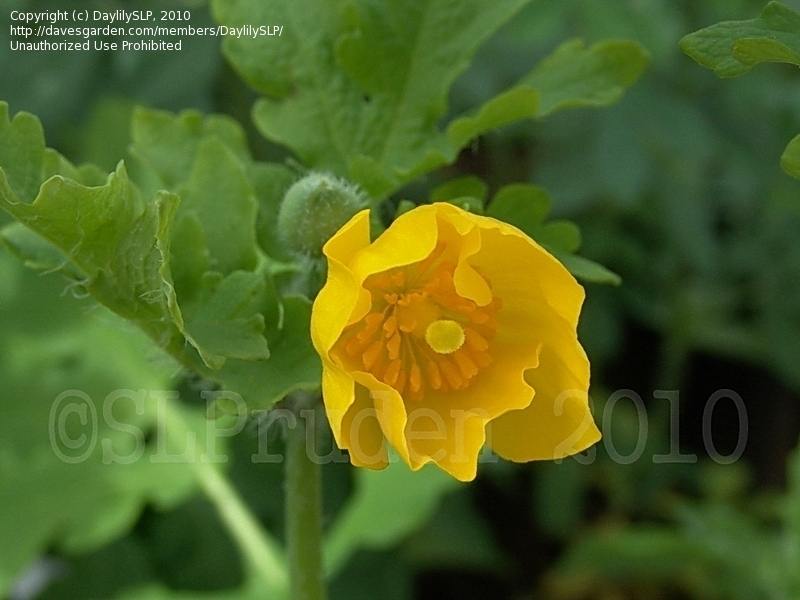 I think this is probably the only critically endangered wildflower species that I've ever personally seen in Ontario. When I saw it I didn't realize what it was or how important it was, so I didn't bother photographing it despite having my camera with me. Next time! There are only three populations in Ontario, which is the most northern part of its native range (which extends into the United States and is still quite limited; it is now only a small fragment of what it used to be), ranging in population size from 42 individual plants to about 270 individual plants (at last reassessment in 2007). It is a victim of land use change (converting forests to agricultural land) and invasive understory species (like garlic mustard, which you can read all about HERE), which continue to threaten the last three populations in Canada. Wood poppies are similar to bloodroot, another native species which grows on the forest floor in southwestern Ontario (which you can read all about HERE), in that they produce a rhizome in their first year of growth, and use the sugars stored in that rhizome to produce leaves every spring. 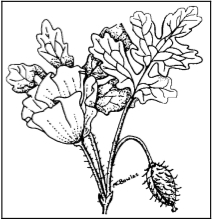 The rhizome of one plant isn't nearly as long-lived as in bloodroot, with the lifespan of the average rhizome only being about 5 years. 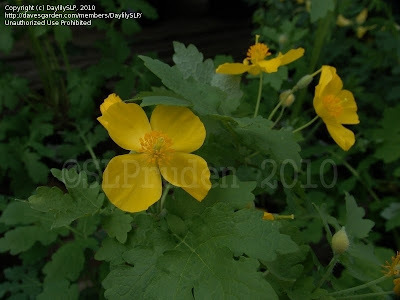 The plant rarely produces flowers in its first year of growth (except in cultivation; it has become a popular garden plant over the last decade or so), so it is sometimes mistaken for other wildflower species during that first year. The seed pods that the plant produces are very unusual and are far larger than you would expect from a plant as small as this one (rarely growing more than 20 cm off the ground) and also share seed characteristics with bloodroot. The seeds are produced with a fleshy, fatty outer covering called an elaiosome which attracts ants. The ants take the small seeds and carry them away to their underground chambers where they use the elaiosome as a rich food source, then discard the seeds when they are finished. The seeds then germinate the next spring and grow up through the ground to produce new plants. This ant-plant dispersal relationship is called myrmecochory. Other animals, if given the chance, will also consume the seeds (seeds were found in great numbers in mouse droppings near one of the remaining populations in Ontario). 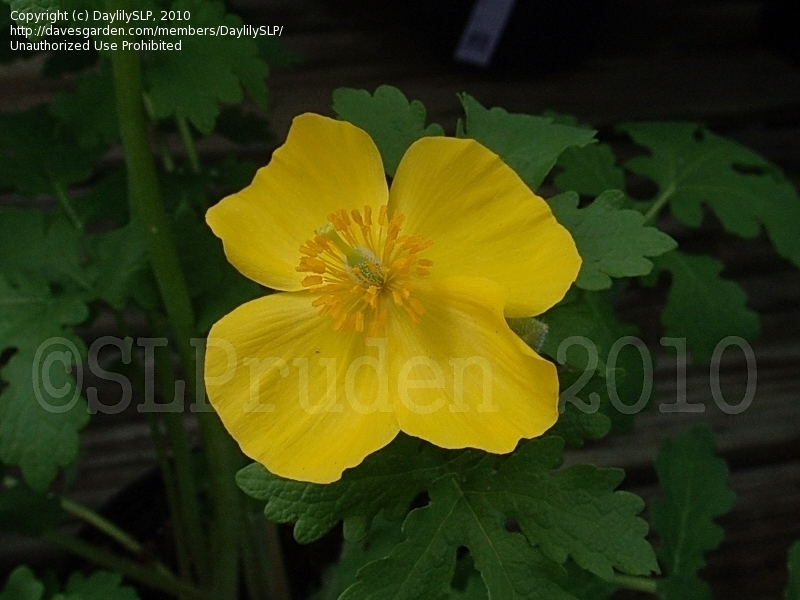 Medicinally, despite having close relatives that produce morphine and codeine, this plant has no value. 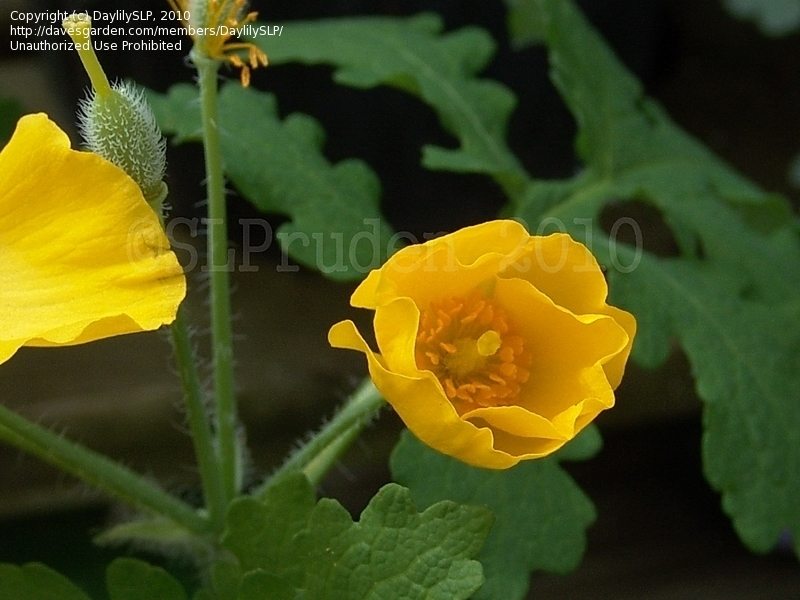 It does contain some alkaloids that may prove useful in some medicinal sense in the future, but right now there is no documented medical use of this plant either currently or historically as an Native North American herbal medicine. The alkaloid cocktail in the plant is more than likely toxic to humans, so avoiding grazing on the leaves if you grow this plant in your garden would be strongly suggested. Wearing gloves when gardening around this plant is also suggested, as the sap from the plant may irritate sensitive skin. Unfortunately, the fact that this plant is now grown in cultivation and the source of these plants is not a native source (which is actually a good thing; wild-harvesting of this plant in Canada is illegal and would be extremely detrimental to the few plants left in the wild) means there is now the risk of genetically contaminating the remaining plants. The populations in Canada had their DNA sequenced and compared to the US populations and it was shown that these three populations are genetically distinct from their American counterparts. This doesn't mean there was enough difference for them to be considered different species, but there was enough of a difference for it to be noteworthy. When the pollen of a foreign population mixes with the ova of a native population to make seeds, the foreign DNA from the pollen contaminates the native population, effectively creating "genetic hybrids" of both populations. Since plants in cultivation are usually much more susceptible to disease than their wild counterparts, this could be really bad news for our last three native populations. So why these two plants, you might be wondering? Well, these were the two plants I could best think of to commemorate the loss of a great botanist, my friend and mentor, Dr. Jane M. Bowles. Jane grew up in Kenya, and some of the stories she shared about her childhood there are out of this world and beyond belief for someone that has lived in Canada their whole life (can you imagine growing up with a lion living in your front yard?! Mind-boggling to me!). She went to school in England, then moved to Canada to complete her PhD in botany about sand dune ecology at Pinery Provincial Park. Since the completion of her PhD, Jane was an adjunct professor in both Biology and Geography at Western and, most recently, the curator of the herbarium and the director of the arboretum. I first met Jane at the field station associated with Western when I was out there with my supervisor searching for fungi in the woodlot at the back of the property. My supervisor introduced Jane as the curator of the herbarium (assuming I knew what a herbarium was; I was thinking "herbari-what?! "), and we went on our merry way. It wasn't until a couple of months later that I realized that, aside from my supervisor, Jane would probably be the single most important person (well, aside from myself, too, obviously) involved in the successful completion of my PhD. I rely so heavily on herbarium loans to look at historical mushroom specimens that I would have been completely lost without her. Not to mention that Jane was universally loved and respected by all herbarium curators around the world; with her as my primary source of communication to other herbaria I would have no problem having a loan in my possession two, three, sometimes four times longer than the period of time I was actually given. If you think that's bad it's not; it's not unheard of to have herbarium loans for 10 years or more! Over the last 6 years I would say that Jane and I had become friends. I always knew I could count on her to provide me with a laugh thanks to her biting sense of humour, I could count on her for a swift kick in the bum to get myself in gear when I asked for it, and give me some helpful tips on how not to lose my sanity along the way. I would also say that her love for plants inspired me to grow to love them (sorry for the pun...actually, not sorry. That was carefully planned! ), too. She taught me about the importance of native species, and drilled into my head the dangers of invasive non-native species. She opened my eyes to a whole new world of Biology: being a naturalist, and helping preserve the world for what it currently is and not try to change it to be what we want it to become to "improve our life" (it's often too late when we realize that having a giant forest was perhaps a bit better than yet another strip mall...). Earlier this year, Jane was diagnosed with cancer. On Saturday, July 27th 2013, Jane lost her fight at Victoria Hospital. There won't be a day that goes by where I won't think of her, not a week that goes by during the rest of my time at Western that I won't remember one of her tidbits she told me, and not a year that goes by where I won't be reminded of what an amazing lady Jane was. Goodbye, Jane. May your memory live on, and may you continue to inspire young impressionable scientists such as myself to become one with nature forever.